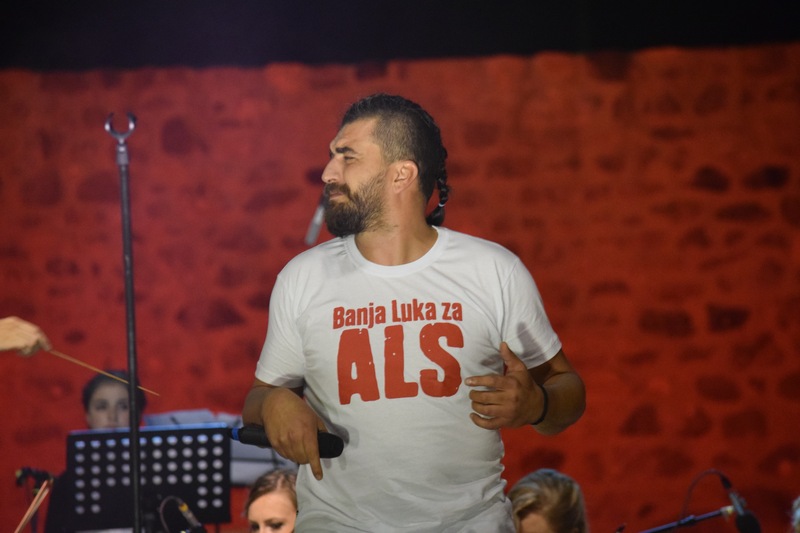 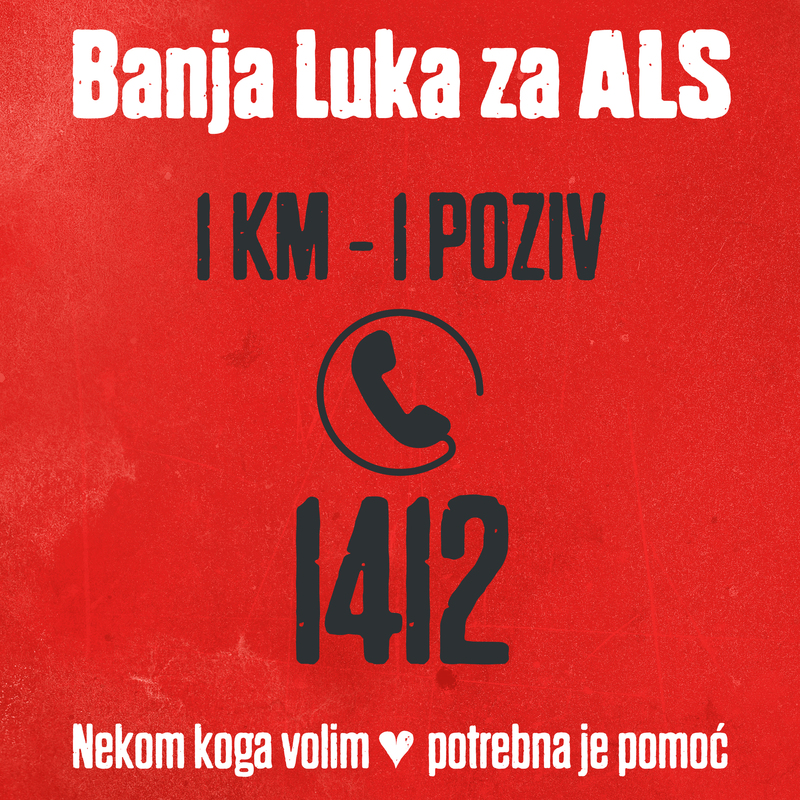 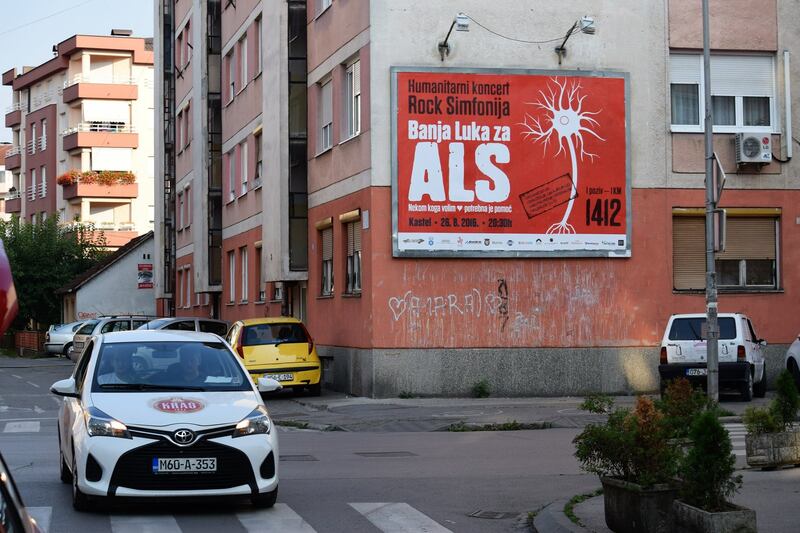 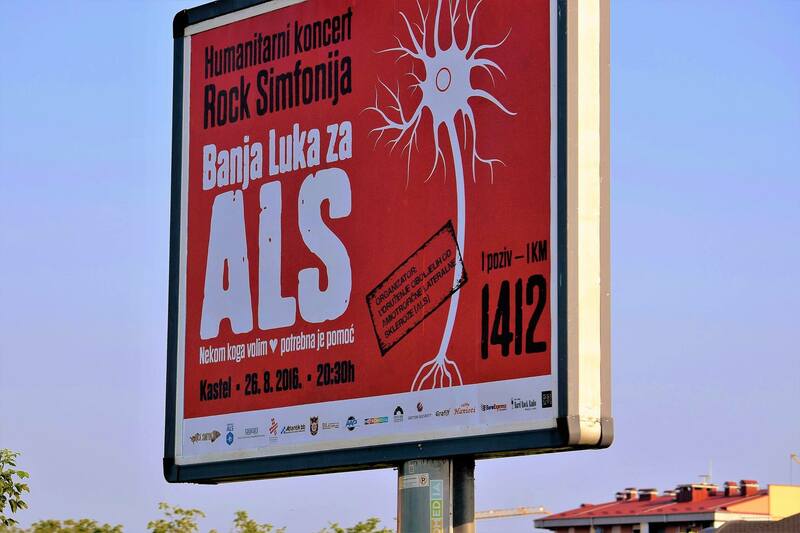 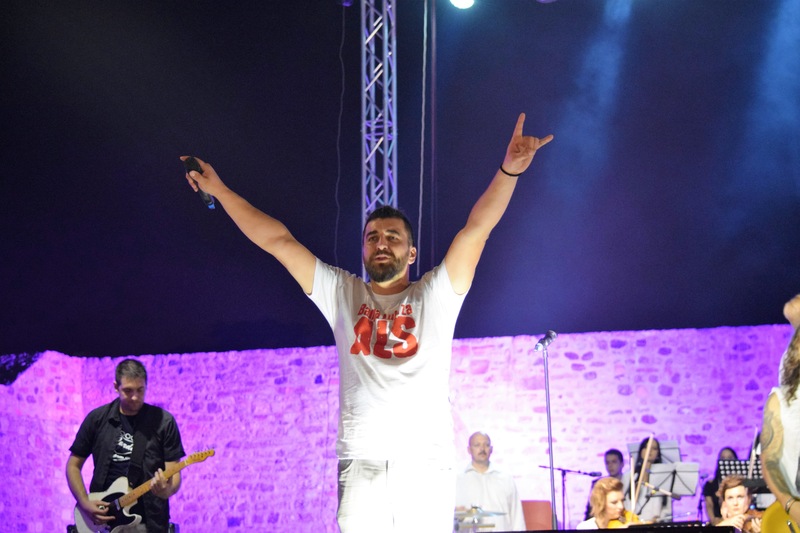 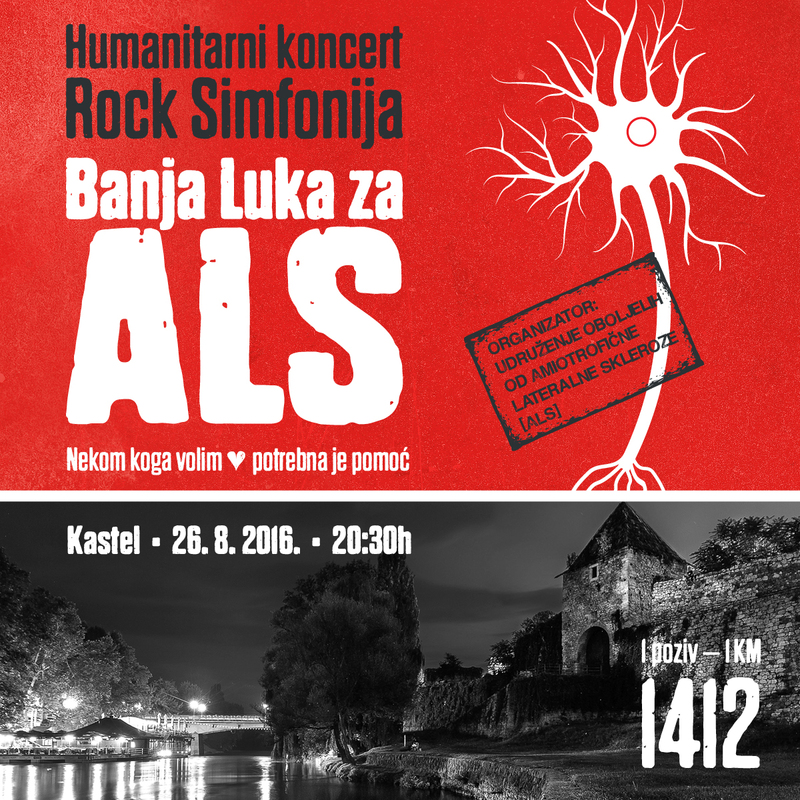 The ALS Association of Republic of Srpska organized humanitarian concert “Banja Luka for ALS” to raise the awareness as well as funds to obtain non-invasive ventilators (NIV) for patients suffering from amyotrophic lateral sclerosis (ALS). 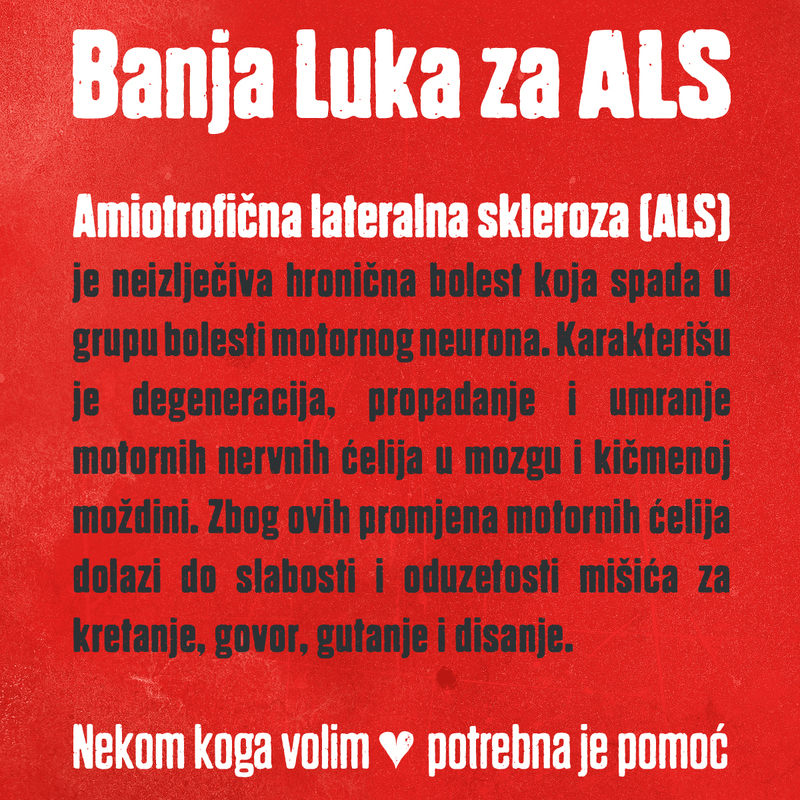 ALS is a progressive neurodegenerative disease that affects nerve cells in the brain and the spinal cord, leading to a gradual deterioration and loss of muscle function, resulting in the deterioration of one’s ability to control the muscles needed to move, speak, eat and breathe. 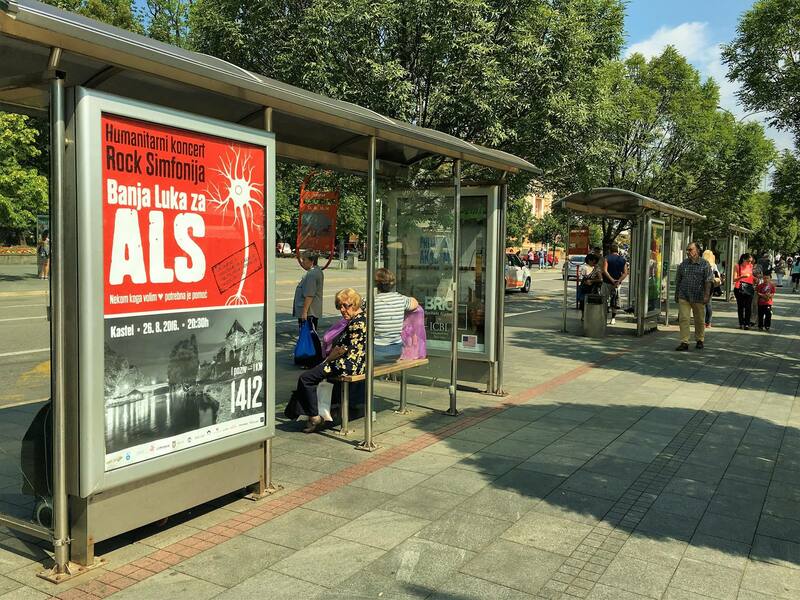 When patients with ALS reach a phase where respiratory muscles function has deteriorated, non-invasive ventilators are required to assist them in breathing.